Do you have mold growth in your home or business? Mold can impact a person’s health in many ways including but not limited to: headaches, allergies, asthma attacks, sinus infections, and body aches. If you are experiencing these symptoms and have physical evidence of mold growth in your home, you may be compelled to treat it yourself using different home remedies. Unfortunately, those home remedies can be ineffective. The fact is, most of the time, it requires someone with specialized knowledge, tools, and skills to perform mold removal. Our mold removal specialists will treat the contamination as if it could produce irritations to the occupants in your home or business. AdvantaClean of Madison County, follows a specific sets of guidelines for remediation like the IICRC S-520, the EPA, and the New York City Department of Health and Mental Hygiene Guidelines on Assessment and Remediation of Fungi in Indoor Environments. AdvantaClean of Madison County, continually trains all technicians and staff members to perform mold removal according to these standards. Many home and business owners have trusted the professionals at AdvantaClean of Madison County with their mold remediation projects in the Metro East area. When you choose AdvantaClean of Madison County you can rest assured you are hiring a company with the highest level of integrity, skill, and professionalism. We are mold removal experts in the area. You have recently had a water intrusion in your home or business. Many home owners don’t know the damage water can create in a home until they have experienced it. It can be devastating! AdvantaClean of Madison County, knows that it is only a matter of time before mold will grow when a water intrusion has occurred. Call today to prevent the spread of mold. You notice any musty or unusual odors in your home or business. Musty odors are a dead giveaway that there is a mold issue in your home or business. AdvantaClean of Madison County can “sniff out” these issues and solve the problem once and for all. Your home or business is on an unconditioned crawlspace. If your home or business is on a crawlspace, it is likely mold is present. Through stack effect, mold in a crawlspace can cause issues to occupants in your home or business. AdvantaClean of Madison County can remediate the mold and correct the moisture problem for good. Your home or business has visible mold growth. Don’t ignore visible mold growth. 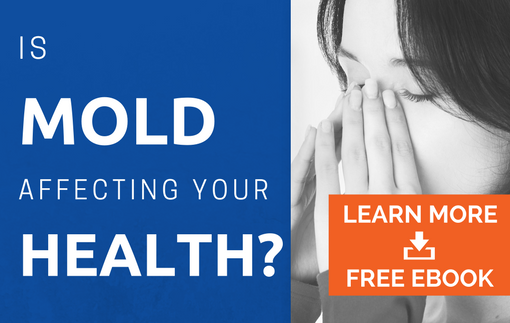 It is important to know that all mold can be an allergen and should be handled with care. AdvantaClean of Madison County is the mold remediation company to solve your problem!